The 2019 CFMoto 650NK will available in the market at an expected price of INR 4,50,000(ex-showroom, Delhi). The CFMoto 650NK comes with a 649.3cc engine, so, it develops vigorous output figures to give tremendous drives. The CFMoto 650NK hits 180km/h top speed on the road to give breathtaking powerful drives. 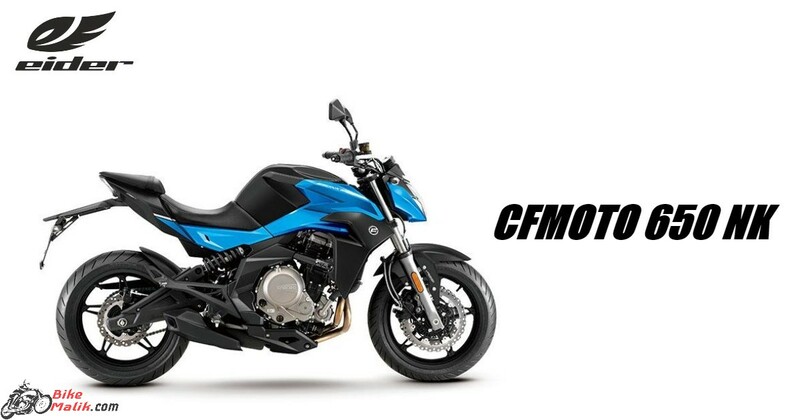 2019 CFMoto 650NK comes in good dimensions and however equally distributed weight gives good balance over the bike. CFMoto 650NK comes in 6-speed transmission gearbox with an easy gear shift pattern. The CFMoto 650NK comes with ABS braking unit, on the other hand, the flexible suspension unit also upmarket.